From left, brothers Richie Dibble, David Dibble, and Alex Dibble and baseball coach Zach Sievers pose on the bumper of a Kenosha fire engine. Sievers saved David's life in June 2018 by using CPR after David suffered cardiac arrest on a Kenosha baseball field. SOMERS — In so many ways, it was just a typical early summer day for David Dibble, a Kenosha-area athlete with a special affinity for baseball. Dibble, 18, was helping coach his brother Alex’s baseball team on the Indian Trail High School baseball field in Kenosha on the afternoon of June 25 after working earlier that day. As he arrived, Dibble began catching to help the pitcher warm up during the planned practice. And then, suddenly, the typical day was thrown a dramatic curve ball. Dibble abruptly collapsed. His heart stopped, and he went into sudden cardiac arrest. Fellow coach Zach Sievers, who was trained in CPR, performed the life-saving technique on Dibble in those critical moments leading up to emergency responders arriving on the scene. 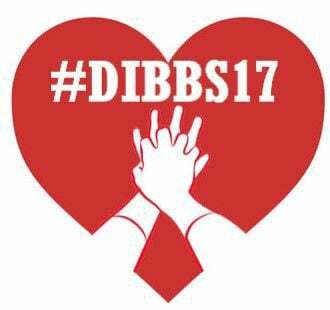 For Dibble and his family and friends, CPR has taken on a whole new meaning — so much, in fact, that a major campaign, Saving a Life, is underway to help spread the importance of being trained. Capt. Scott Schoenfeld of the Somers Fire and Rescue Department has been working with some of Dibble’s family to organize a marathon CPR training day at the village’s main fire station on Saturday, Feb. 16. While first responders such as Schoenfeld have bountiful experience in handling life-threatening emergencies, Schoenfeld is quick to point out how critical each second is in instances such as sudden cardiac arrest. Schoenfeld works with Alex Dibble, who is gaining on-the-job training and experience through the Fire Department’s Explorer program. While the overarching concept behind Saving a Life is serious, Schoenfeld said the goal is to make next weekend’s event a fun-filled, family-oriented community event. The event, which involves teaching hands-only CPR — a simple, non-certified, basic life-saving technique — is open to anyone 7 and older. The training lasts about 30 minutes or so, Schoenfeld said. Families, companies and high school classes are invited to learn together as a group. Oak Creek resident Connie Schneider, Dibble’s aunt, also helped organize the upcoming event. Symbolism is interspersed throughout the goals and marketing messages associated with the Saving a Life event. Dibble’s baseball number, 17, is at the heart of many of the metrics set for the event. The entire training day will span 17 hours next Saturday — 5 a.m. to 10 p.m. — and organizers are putting out a call for 1,700 persons to learn CPR through the event. Funds raised from the upcoming event will help the Somers Fire and Rescue Association, a nonprofit entity that raises funds for the department, to purchase a LUCAS brand mechanical chest compression system for the department to use on emergency calls. The high-tech LUCAS devices have proven beneficial in critical life-threatening situations by providing consistent chest compressions. The devices carry a price tag in the ballpark of $17,000. Schneider, who received a call from Alex not long after David had collapsed at the field, still vividly recalls the emotions of that pivotal day more than seven months ago. “On the way to the hospital (Alex’s) voice repeated in my head, not knowing if we’d ever see his brother David’s smiling face again,” Schneider wrote in an essay recounting the experience. In an interview, Schneider said she and others involved in the event are on a crusade to help spread the importance of CPR. “We want to make this as common as blood drives,” Schneider said. Dibble, who is studying and playing baseball at the University of Wisconsin-Superior, will not be able to attend the training event. Not in person, at least. But his spirit will be there. Dibble said he will be thinking of everyone back home, and how CPR could have the same beneficial impact to others’ lives in the future.